That’s why I want to share Alex Sol’s story with you today. He is an online entrepreneur who claims to be nothing but just a normal guy. Although he insists to being nothing special (or because of), he makes a full-time income online and is pretty fast forward on his way to becoming a blogging star himself. Alex runs ExtraPaycheckBlog.com and several other profitable blogs. With Extra Paycheck Podcast he’s got an excellent show that delivers great insights on what blogging celebs do to create their successful businesses. In the following, you will learn a lot about Alex’s lively online journey. We will look at many of his milestones and accomplishments. And you’re gonna see why he isn’t normal at all but very special when it comes to dealing with common blogger struggles. Alex knows exactly what his strengths are. But he is also very upfront about his weak points and failures. He knows that big parts of our success are made of failing smart, which you can call him a mastermind for. So without further do, let’s get right into things! Do you sometimes feel at a loss because every soon-to-be-marketer around you seems to easily come up with one or several clear and crispy visions about his future empire? Well, not every success starts with a vision. Alex didn’t have one either. In fact, he was not sure for quite a long time what kind of job could really attract him. Before blogging came into his life, Alex had several office jobs in different industries. He was not following a certain kind of profession or career and whatever job he did, he never really felt comfortable in the role of an employee. Having to ask your boss for permission to plan your vacations was something I was absolutely allergic to. Alex was always counting hours, hours of HIS TIME, occupied by other people, for only limited rewards in return. He got paid for 8 hours but was occupied by his job for more than 12 hours a day. Long hours, lunch breaks and the daily commute were all sheer waste at the expense of valuable spare time in Alex’s eyes. Is your calling speaking to you? Somewhere deep inside we all have this calling for something we are meant to do in our life. However, only the fewest really live in alignment with this purpose of their life. Perceived safety (keeping a job) always wins over improvement and growth (trying out something new). Depending on our personality, we “hear” our calling in a more or less cryptic way. Some of us don’t have a clear vision of what they are built for. But, they can move towards their life’s purpose by listening to their inner voice clearly telling them what they DON’T want in life. Alex is a great example for that. Very early, he had developed a clear idea that he didn’t want to spend his life in the employment treadmill. And against all odds, he followed this inner voice, quit his job although he had just started to service a loan for his new car. My boss told me I’d better stay with my car credit but I knew I will always be able to pay my bills, whatever the future will bring. No sooner said than done Alex quit his job to start exploring make money online opportunities, which was a much bigger adventure in 2007 than it is today. Back then, there were no scam reviews and other alerts guiding your way to the legit programs. It was way easier to fall for dubious offers. Like most other online opportunity seekers, Alex lost quite some money on scams too. He tried this and that, built some websites on blogger and had to realize that it needs incredibly big amounts of traffic to make a decent income from AdSense. All in all his first steps online were not announcing a blogging breakthrough. A first skip-it-or-master-it decision was about to come. I thought okay this is it. If the next thing I try will also not work out, I am done with this sh**ty online thing. His last-ditch attempt was a program to learn affiliate marketing that really seemed to be of legit value. Alex gave it a try and it quickly turned out to be the ultimate game changer for his online endeavors. The relieving wealth of legit information and instructions within that training transformed him into marathon man: A whopping 40 hours of non-stop learning and applying granted him with great accomplishments right from the start. I was addicted to learning all these cool things and putting them into practice right away. I was so inspired by the progress I made, why worry if your girlfriend thinks you’ve finally gone nuts! No worries, don’t fret… success is possible without this kind of initial 40-hour marathon… but the way Alex dealt with the program was very smart: With every step he learned, he didn’t move on before applying that learning to his business. With that massive action, he collected small lifts right from the beginning. If you start out with all these little achievements, they will accumulate to a great sense of confidence, which is vital for your overall success. Alex learned the business from great resources. But these resources were not that kind of well sorted, task-oriented, multimedia courses we have instant access to today. All those step-by-step guided training programs stuffed with video/audio/transcript choices, task sheets, checklists and 101’s haven’t been available back in 2007. How come that today’s newbies – who are served with convenient “learning on autopilot” resources, leaving no what-when-where-how unanswered – still fail in masses, while Alex mastered the business with nothing of all of this comfy learning atmosphere? The answer to that is quite simple: Because most newbies just DON’T follow the instructions, they DON’T execute the combination of learning and applying and they just DON’T follow through to the end of the courses they take. The reason behind all these “they DON’T do…” things is that people’s behavior is often mislead by their mindset playing tricks on them. You can find more information about that here: Professional Blogging Courses: Why We Buy And Abort Them. Alex is a very rare exception from that DON’T-do tendency. From the very beginning, he followed an impulse to always take massive action (EXECUTING!) with everything he learned. There wasn’t even a step-by-step training reminding him to apply things immediately. It was just him and his own senseful self-instructions. Very cool, but very scarce! With his laser focused, result driven actions, it didn’t take Alex long to make his first dollars online. He decided to build multiple niche websites to spread his chances that at least one of them will be successful. Back in 2007, I didn’t know much about niche research. With starting multiple websites I simply wanted to increase the chances that at least one of them will be successful. And that’s exactly what happened. After 6 months of focused work, Alex generated a decent online income that already exceeded the income of his previous job. He created websites in niches like weight loss, wood working and some other DIY niches like how to make your own furniture, or how to learn a language. Alex focused on monetization through affiliate marketing, mainly for ClickBank information products and courses. He quickly became an expert in promoting high commission products very successfully. 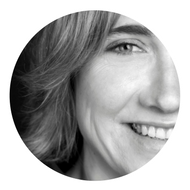 Over time, Alex expanded into creating websites that promote physical products as well (we’ll get into that later). 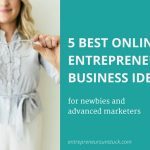 Starting several niche websites at the same time is only recommended for seasoned marketers who know exactly what they do. “Ordinary mortals” and newbies better focus on one niche to start with. If you want to shut out the failure of your niche idea, you should put it on a stress test before you go all in with it. Pat Flynn’s “Will It Fly?” is of eye-opening guidance for that. 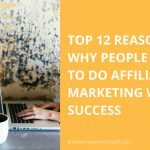 In 2008, after he had collected lots of experience in making money with affiliate marketing, Alex decided to create a platform where people can follow in his steps to succeed online. That’s when ExtraPaycheckBlog.com was born. In spring of 2015, he started out with his own podcast show “Extra Paycheck Podcast”, which is all about successful online entrepreneurs to learn from. Looks like a very smooth journey! But it hasn’t been all that smooth. Like most of us, Alex had to deal with many more or less big challenges along his entrepreneurial trip. If you see these challenges as a perfect storm confirming that you are simply not meant to be in this business, you will fail BIG. But, if you accept those challenges as a part of the game and spend less time on interpreting their overall meaning for your life and more time on proactively solving them, you can stay in the flow of making steady progress, no matter what. In 2009, Alex got heavily hit by the consequences of the financial crisis. Up to that point of time, all his niche websites were based on selling digital information products. But information products were the least thing people wanted to buy during this crisis. Instead of questioning the whole online business thing, Alex immediately started to switch his promotions to a mixture of products that include more physical products for daily needs. Another major setback occurred when his website got hijacked. Everything was deleted, all content gone! Something very pesky he could have avoided by simply installing some security solutions right from the start. Alex didn’t run into the trap of getting lost in blaming himself or his virtual thieves. Instead, he instantly started to build up his content again. And he changed his hosting from shared solutions to dedicated hosting packages with own, secure space for every website he has. His all time #1 defeat story is probably the one related to a trip to Europe in 2010. Lessons learned: Never ever leave your business totally unattended again! So he lost his hosting, he lost his domain names, as well as entire email lists. He had some backups, but it was starting from scratch again. A huge setback and all caused by his own fault. That was the first time Alex thought about not wanting to depend on online income streams any longer. He started to offer online marketing services to offline clients, which worked out pretty well. But working with local clients didn’t turn out to be his real passion. He realized working online was much more fun, so he reached out online again. It was a period of about 3 years where I tried this and that. It was more about messing around a bit with making some money online and offline, here and there. I was not really following a guiding thread. In the end of 2013, I finished my experimental muddling through phase to become very serious about online business again. It was the same rinse and repeat like in 2007. Again, I took massive action and applied everything new I learned immediately. With that strong focus and high level of execution, it didn’t take me long to not only have it all up and running again but to surpass my former achievements. As you can see, Alex had his ups and downs, just like every entrepreneur has. The way he deals with obstacles, though, is where he outperforms most of his fellow marketers. Whatever the setback or circuit was (there are more stories to tell that go beyond the scope of this post), Alex always found a strategy to deal with it. Even his “experimental phase” made sense, since he came back stronger than ever before. Okay, Alex is a hero in many aspects, as we learned above. But what about all the usual small, bite-sized tedious struggles that try to paralyze us day in, day out? Is he immune against procrastination, distraction, fear of failure, lack of persistence, lack of patience, etc.? Alex says, not at all. The devil is in the details. If you are too casual about your quirks, you can easily get stuck in no progress frustration. Watch out for your reputed small weaknesses, because they can cause you big trouble if not treated properly. It’s all about your weaker self that permanently threatens your hard work. It always tries to pull you back into your comfort zone, while true growth and progress only happens outside your comfort areas. Alex got used to leaving his comfort zone. In the beginning, all the tech stuff of blogging was leaving his comfort zone. And the cold approach to people. And the accent Alex has. And the fight with distractions and procrastination. All these things can easily cause an avoidance pattern in your behavior, like a resistance level that causes a swing back. But, the more you break through this resistance (by doing the unfavored things), the more you can make use of the full scope of your own potentials. If you are constantly in your comfort zone, you are always in the wrong zone. I think the best things happen outside your comfort zone. In the beginning, stepping outside of your comfort zone can feel very uncomfortable, like dancing closely with your fears. But what’s the worst thing that could happen? The worst thing that could happen is somebody says “No” to your offer. That’s bearable. Actually, everything that doesn’t kill you is bearable. Podcasting is a great example. Let’s say you are shy and start approaching people for your podcast (leaving your comfortzone). It’s a challenge for quite some time but gradually, it becomes easier for you to approach people, not only for podcasts but also in other situations as well. Even though you started as an introvert, you get used to getting in touch with people. You even start to have fun with it. Finally, you’ve conquered a discipline that has become the most vital one in online business: building relationships. It’s true, being an introvert is not automatically a show-stopper for your online success. Your success depends on how you act as an introvert. There are several introverts who turned out to be excellent mentors that make highly valuable contributions to the online community. About self-improvement – empty talk or hot stuff? Everyone’s different. For some people, discipline is a no brainer while others fail miserably at it. Weaknesses are not nice to look at and it’s almost a human reflex to NOT look at the things we are not good at. However, you better not strain yourself with trying to turn every weakness into a strength. That’s a losing game. But you should face your weaknesses and make best out of them so they don’t win over you and your business. Alex says it’s a matter of personality. Some people tend to procrastinate, others may never will. I am one of those likely to procrastinate. And I am not equipped with great discipline. But I’ve found a way to deal with it: Organization. I know my weaknesses and how to beat them so they can not rule my everyday work. For example, if you are more the anarchist type of person, there are many things you can actively do against the chaos: You can use tools like Calendly, to get yourself scheduled. Trello is another great tool to organize all your ideas, to-do’s and projects. You can make it a habit to write a plan for the next week’s goals. Many people connect with their peers and share their progress on a regular basis to keep themselves accountable. You can install lots of those daily habits you would love to avoid but still stick to because it is just such a great feeling to reflect them “checked” every evening. And you will love to do the things you once hated because they make you perform so much better. Give yourself the chance to win over your weaknesses every day. You may find some of them gone one morning. Reading self-improvement books is a great way to explore your “blind spots” in such a constructive way. Books can help you find weaknesses you didn’t even know you have. It’s not opening more battle fields than you already have. It’s finding solutions for problems you constantly have but never realized what cause lies behind them. Don’t know how to get yourself organized? Getting Things Done by David Allen is a true eye opener with step-by-step help. Are you suffering from procrastination? Go and get yourself a copy of The War Of Art from Steven Pressfield. Many people don’t like reading books because books often tell you things you already know. Well, good things are very worth while to read repeatedly. Books are so very powerful to improve yourself. They not only feed your subconsciousness with inspiring thoughts that make you grow. They are also a perfect thing to train your execution with each chapter you finish. Because, only that, the combination of READING and DOING, will transfer the real value of a book into your life. I love the power of books and there are many ones I read over and over again. If you believe in continuous improvement (and that’s what you should), reading books on a regular basis (and applying what you’ve learned) really is a game changer. What’s in for you when you get control over your weak points and do all the self-improvement stuff? Is it really worth it? Isn’t it enough to only gear up yourself with all online business knowledge available? As a matter of fact, the best knowledge is worth nothing if you are not able to apply it to your business from a certain (winners) state of mind. Yes, it’s not the people with the biggest knowledge, who finally join that small elite group of truly successful entrepreneurs. It’s always only those, who have learned to shape up their mindset to the very needs of a success-builders life. But aren’t there natural born entrepreneurs with a perfect mindset in place, gifted by mother nature? Yes, there are some few. But they are so very rare that you better not gamble to be one yourself. That’s why his self-improvement has become a daily routine. And that’s how things started to change for him. From frustration through procrastination into finishing more things than expected in a given time. Small achievements sum up to big ones. An unrewarding doom loop turns into a cascading system of rewards. Things start to work like a charm and doubts and fears have to give way to growing self-esteem. This is a big advice I want to give out to newbies: Don’t wait to shape yourself up! Once you step out of your comfort zone, you can really boost your progress. The moment you start organizing yourself and really commit to consistently doing your business instead of watching others doing theirs… your success is sure to follow. I could have saved quite some time and detours if I had realized that from the very beginning. Remember when Alex started out with no visions? Today he’s got visions. He’s not only making goals. He also knows what it feels like to reach that goals. Isn’t it amazing how big online business has become over the past years? There are only very few things left you can’t buy online, virtually everything is available at your fingertips. Next to online shops, the amount of blogs offering people online guidance has exploded in the same way. And after all these mega quantities occurred online, the reassessment process through quality has long begun. That way, there have been some mass movements from quick and dirty offers to targeted, high-quality contents. Or in other words: Quality content is not king anymore. Quality content is standard. Yes, high quality is no longer that magical magnet, that automatically streamlines your audience to your blog. It’s not enough to provide excellent value, you have to reach out and market that value. The new king in our business is building relationships! If you build relationships with other bloggers you can reach out to each other’s audiences and increase your visibility. You can provide added value to the audience of your peers and vice versa. Over time, you will grow a group of influential “ambassadors” spreading the news about the valuable help you offer. With all the strategies you find for growing your audience, building relationships is by far the most effective one I could ever recommend. If you focus on creating awesome content that gives the people you connect with reasons to share, you are best prepared to market your blog with great success. And it’s not only the marketing aspect of building relationships. By connecting with people, you get used to exchanging experiences and feedback that helps you improve your business a lot. That’s why many marketers connect in mastermind groups so they can keep themselves accountable with the progress they make. Alex, what are you up to next? Alex is pretty far ahead on his way to blogging olymp. He has not only created a full-time income from blogging but also troubleshooted several setbacks out of his way. To keep his business running and growing, Alex has started to shape up his mindset so he can activate all the success genes in him. And he implemented some useful habits that help him to get and stay consistent and organized during everyday work. Lots of accomplishments, so what are you up to in the future, Alex? I am pretty happy about how things unfold in my business at the moment. But even if there’s reason to celebrate, the least thing I want to do now is to rest on my laurels (remember my trip to Europe;). I love to see my business grow with every action I take. But it’s not really the figures that drive my motivation. It’s all about normal people who gain great results through massive action, all driven by the strong will to succeed. Everyone carries these ingredients for success inside. They just need to be activated. If you want to turn your passions into a business that can set you free in many ways, then don’t wait too long. Now is the best time to start! I think success stories are so great because they always invite us to make some reflections about our own story. Maybe you have recognized some parallels you have with Alex. Or maybe you just see the opposite and say “I wish I had that troubleshooter strength he has shown!”. The good news is, no matter what your “gap” is, you’ve got everything to fill it up. If you are a newbie blogger and feel a big lack of blogging skills, you can go and find plenty of them (ask me if you don’t know where to search). If you have mindset issues (which is the #1 reason of failure in our business) there’s no reason to panic either: The human mindset is one of the most flexible “constructions” in the universe. Hence, you can remodel it completely into the shape you need for entrepreneurial success! The most vital thing to ensure for you is to really follow through with the things you learn in your business. 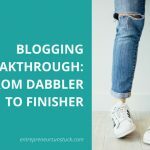 With Finisher Mode for Bloggers (update coming soon), I have developed a step-by-system to switch your unshakable finisher mode on fast. It helps you to execute your blog building process with lasting focus, rewarded by great progress with leaving no crucial tasks unfinished. If you have questions or are stuck with something, please let me know in the comments below and I am happy to get back to you!